After nearly two years of planning, raising money and building, Creaton Village Shop opened its doors at the end of August. 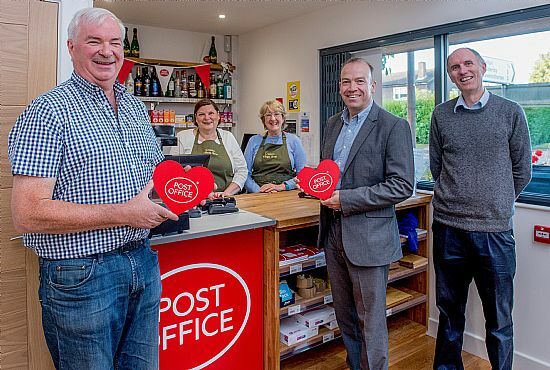 The shop and Post Office replace the one in the High Street which closed on the retirement of its owners, Sylvia and David Winter. The new shop, built on land leased from Tom and Alan Gillott, stands on the A5199 Welford Road opposite the junction to Teeton. 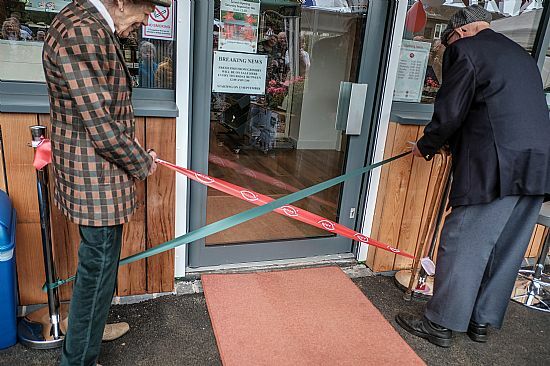 The Grand Opening took place on Saturday September 8th when Mrs Joan Tice OBE and Mr Tom Gillott, both cut the ribbon and officially launched the shop and the Post Office. The days leading up to the Grand Opening were very busy. The Post Office set-up was beset with phone line problems but by 5pm on the Thursday the glitches had been ironed out. Then early Friday morning, BBC Radio Northampton were in the shop from 7am, broadcasting interviews as part of the Annabel Amos programme. One of the guests was local MP Chris Heaton-Harris who has supported the project from the start. To see more pictures from the Grand Opening, follow this link.